The full broadcast program of l'Orchestre symphonique de Montréal's excellent season-closing concert at Carnegie Hall on Saturday May 14 is available online at NPR. They had played the same program in Montreal earlier in the week, but were the final show of the hall's first ever Spring for Music festival. 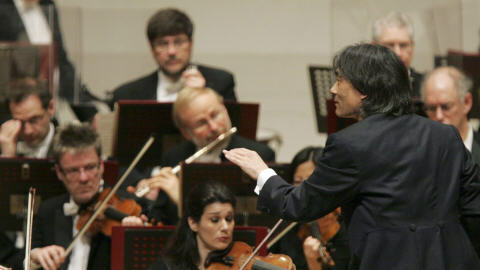 The festival was designed to allow participating orchestras to showcase their artistic philosophies through distinctive and adventurous programming. The OSM's The Evolution of the Symphony program featured a first half that contrasted the early music of Gabrieli and Bach with the modernity of Webern and Stravinsky, none of whom used the term "symphony" in the traditional classical/romantic sense. The second half is the quintessential symphony, Beethoven's monumental Symphony No. 5 in C minor. Their performance of the music is energetic and inspired. It's a shame that Hewitt's performances weren't with the orchestra itself. Nonetheless her playing was lovely as always. The Beethoven Fifth was quite rousing and energetic. The broadcast is just under two hours long. It includes their two encores of the "Sicilienne" from Gabriel Fauré’s Pelléas et Mélisande and an electrifying Overture to Le Corsaire by Hector Berlioz.